If you’re borrowing a loan – whether it’s a payday advance or mortgage – it’s important to consider interest rates as one of your criteria. It’s very crucial for the borrower to know the interest rate in advance because this will ultimately determine the overall amount they need to settle in the next two weeks or 1 year, depending on the loan’s terms and conditions. When you compare the loan rates, you’ll find out that each lender applies interests. Some are fixed while some may change depending on many factors such as the market, income, credit remark, and employment history. To make sure you’re getting the best loan possible, here are some of the most important things you need to know about loan interest rates. Compare the Loan rates: What Is An Interest? Basically, it’s the fee for the lender’s service or the amount you need to settle when you borrow. This is apart from the original loan amount and the other charges such as an upfront fee. There are two types of interest – fixed rating and variable rating. A fixed interest simply means that the interest rate applied on your loan will not change until you settle the debt completely. With a fixed rate, you already know the exact amount you need to repay every month as well as the total amount for the loan. If you’re looking for an interest that won’t change, this is your best option. To ensure that you’re getting the fixed interest possible, be sure to compare the loan rates first. A variable rate, on the other hand, simply suggests that the loan can change over time. It can be influenced by the primary rate or another rate referred to as an index. As the index goes up, your monthly repayment will also go up. If it goes down, the same thing will happen on your loan’s interest. The longer the repayment term you choose, the riskier it is for you since it only means that there’s more time for the rate to increase. Same thing with a fixed interest rate; it’s necessary to compare the loan rates first before you send an application. No matter how much in a hurry or busy you are, it’s best to take time knowing which bad credit lender offers the best deal. Not all loans are created equal; there are those who apply exorbitant rates while there are lenders offering affordable charges. When taking out a new line of credit, be sure to compare the loan rates first. Shop around and make a shortlist of at least three loan providers. This may consume time and effort but will definitely save you thousands of pounds over time. Spending time in shopping around for the lowest interest can make a significant difference in the amount you need to take out every month. It also affects the total loan amount you have. For instance, you have around £20,000 loan amount with an interest rate of 6.80% on a 10-year repayment term. The amount you need to settle every month is about £230. The total loan amount is around £27,600. Meanwhile, if you can get the same loan amount with an interest rate of 2.375%, the monthly amount you need to settle is around £206. This means that your overall bank loan amount is just around £24,720, thus helping you save around £2,880. When your compare the loan rates, be sure to use a loan calculator which can be found on your potential loan website. This will help you determine the total loan you need to settle. In line with this, you also need to consider other factors to ensure the best experience. This means checking more than just the interest applied to the loan. One important thing to take note of is the repayment term. For instance, a five-year loan may offer a much lower interest rate compared to a 10-year loan. However, this means that your monthly payments are higher because of the UK short-repayment period. If you think your income is not enough to cover it, this loan may not be the best option for you. And when you compare the loan rates, consider if the interest is a fixed or variable rate because sometimes, it’s practical to choose a higher rate which is fixed than a lower interest rate that may change over time. Apart from this, you also need to consider the payment option. Most lenders will ask for a bank access so they can withdraw the amount from your account on the agreed repayment date. 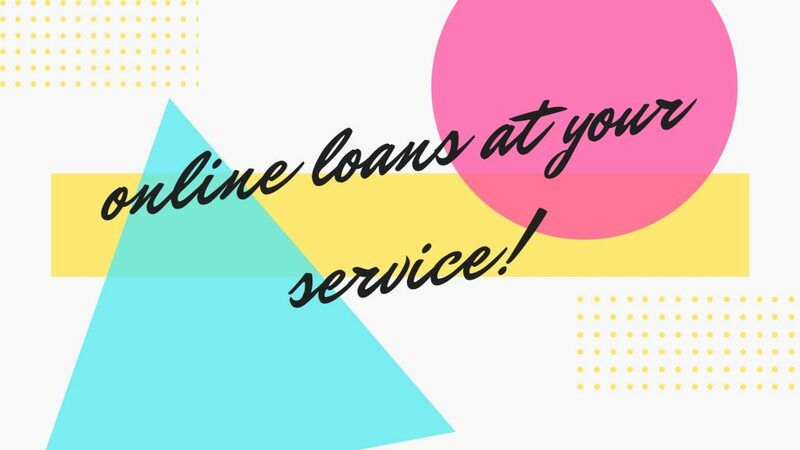 This is beneficial when you don’t want to go out and visit the loan office anymore or you don’t have a paycheck; however, it’s important for your account to have a sufficient amount or else, you might get overdraft charges. Meanwhile, you can choose something traditional as providing a postdated paycheck. You have to include the name of the lender/loan company as well as the total loan amount or monthly repayment – which is the principal rate, interest, and charges – and give it to the lender. On the loan’s due date, the lender will withdraw it to settle the loan. Other repayment terms may include providing cash or via credit card. Last but not the least, consider the lender’s customer service. Is it available 24/7? Are they staffed with the right people who can answer concerns in a professional yet friendly way? Are their feedbacks about harassment or intimidation? These things also count because bad customer service can spoil the entire loan experience no matter how cheap the interest and charges are. Taking out a loan is a lot easier than before. Now you can find a hundred companies online and each has their different qualities. You can do a background check on each lender when you compare the loan rates to find out hidden charges. You can also ask referrals from the people you know and trusts and make a shortlist out of it. Otherwise, you can use loan comparison websites to reduce time in manually researching about the loan.